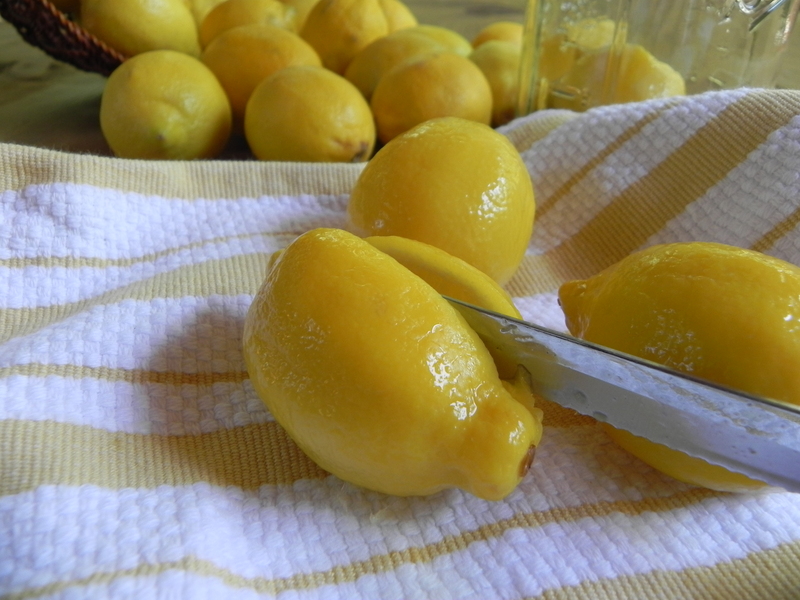 My quest to learn how to preserve lemons came this summer after eating a fabulous salad at Black Star Farms Winery near Suttons Bay, Michigan. We had rented bikes and stopped at the winery for lunch. Of course we were starving and everything tasted so, so wonderful! I asked the waitress about the salad dressing and she told me it was made with verjus, which is very young green grape juice. I bought a bottle and tried to duplicate the dressing. What a disappointment! Something was definitely missing. Adam, my daughter’s boyfriend, thought the winery salad was more lemony but adding lemon juice still didn’t make it stellar. I googled the menu and looked at the description of the salad. 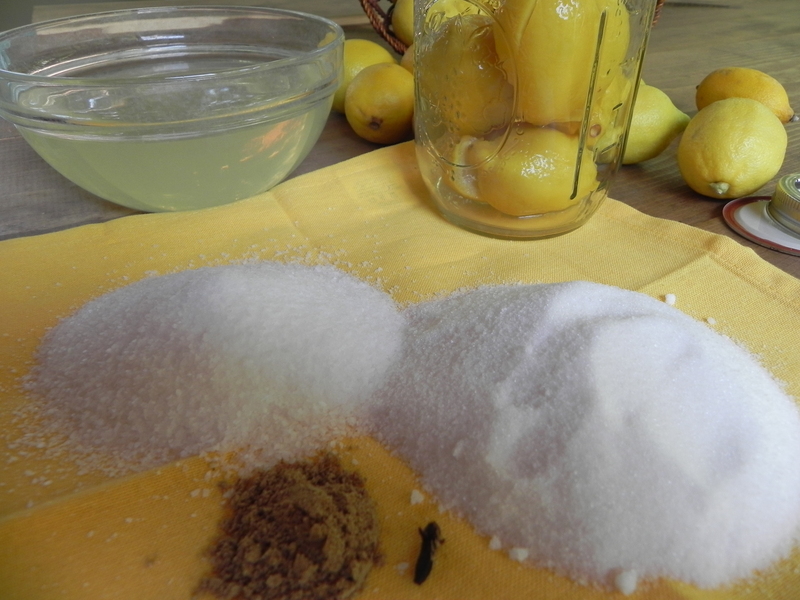 One of the ingredients listed was preserved lemon – something I had been stumbling across in several cookbooks. 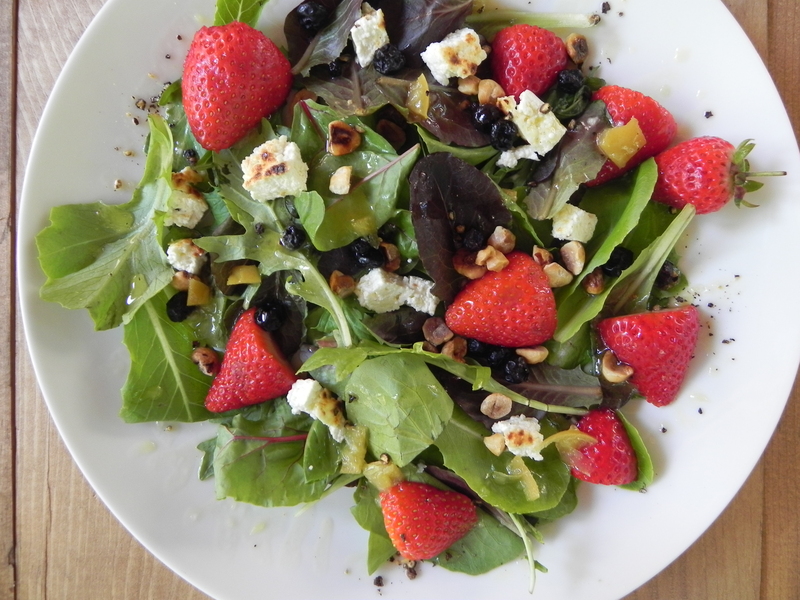 I had seen it in Yotam Ottolenghi’s iconic vegetarian cookbook, Plenty, and in Sarah Raven’s cookbook, In Season. I had just sort of written that ingredient off as too hard to get and something that wouldn’t make that much of a difference anyway. Then I saw it on an episode of Ina Garten’s Barefoot Contessa. My interest was piqued. 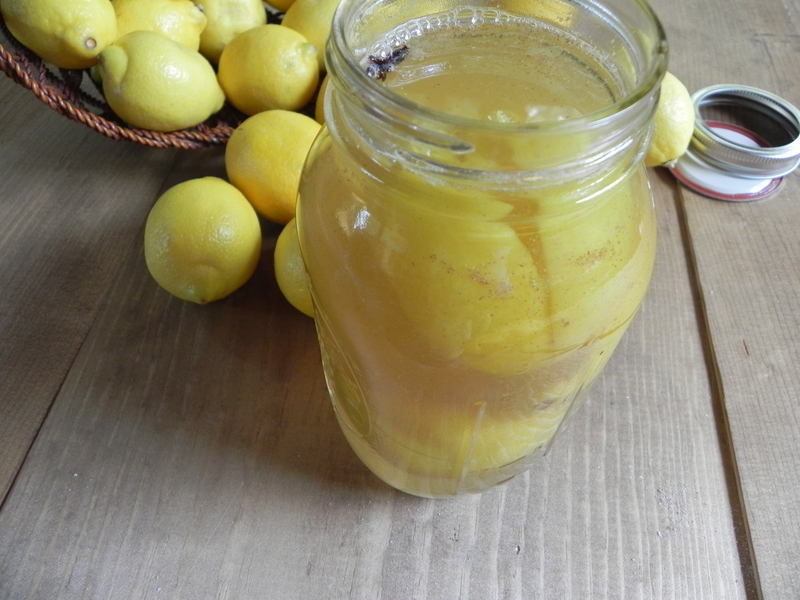 I found a jar of preserved lemons at a Middle Eastern grocery store near my house but they didn’t have the same fresh lemony flavor I remembered from that special salad. I knew I was going to have to find out how to make them at home. Sarah Raven included a recipe in the book mentioned above, but the biggest help was from an August 2013 post on http://www.bonappetit.com. The following post is the result of my experimenting. 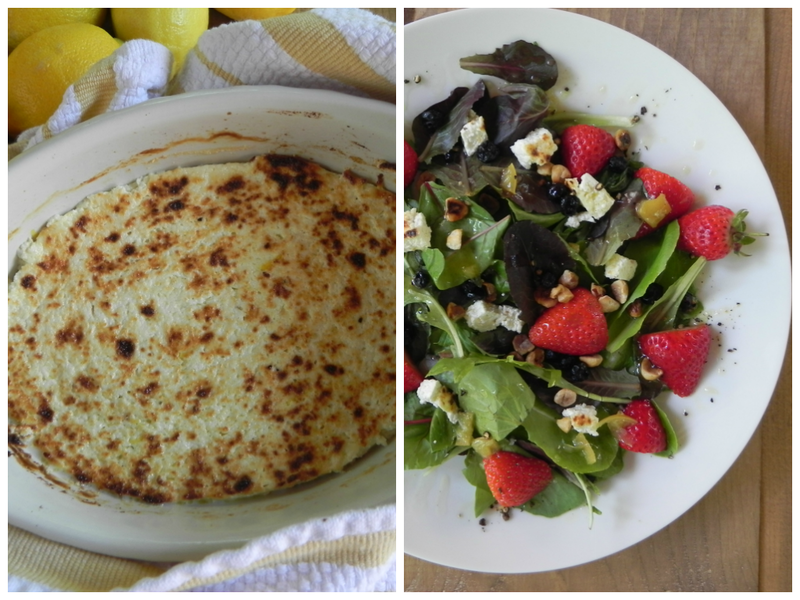 For the salad recipe where preserved lemons were the secret ingredient that added a “wow” factor click HERE . 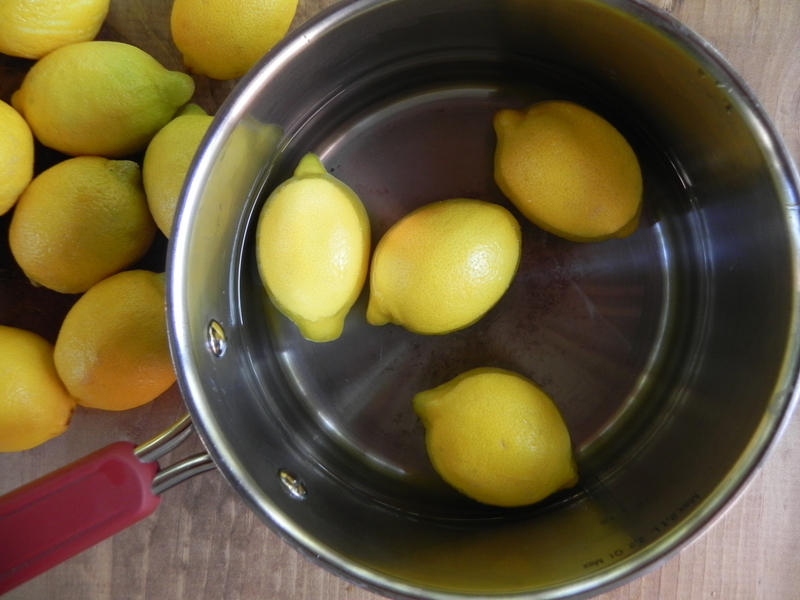 Place the lemons in a pan and cover with plenty of water. Boil them for about 15 minutes or until skin softens. 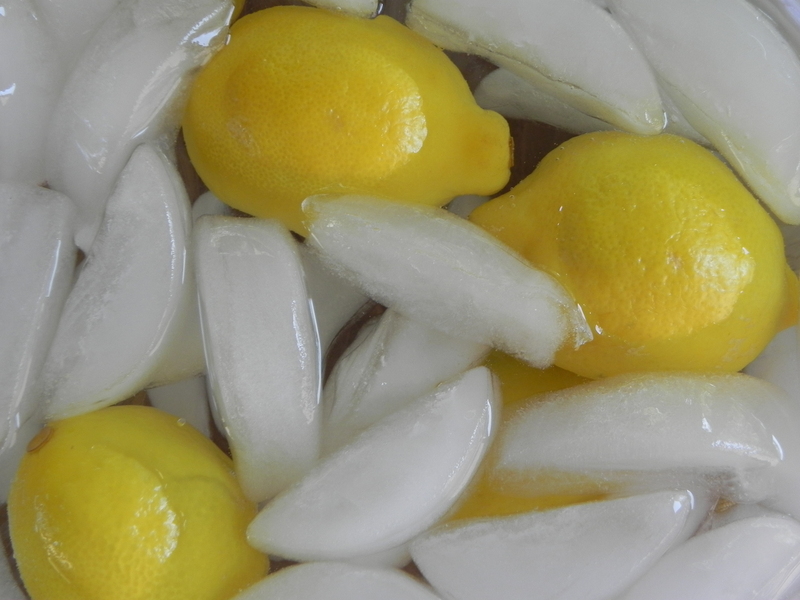 Place the lemons into a bowl of ice water and permit them to cool down. Without going all the way through, cut them lengthwise in four places. Measure out 3 cups of the cooking liquid and bring it up to a boil again. Turn it down and stir in the sugar, salt, coriander, and clove. 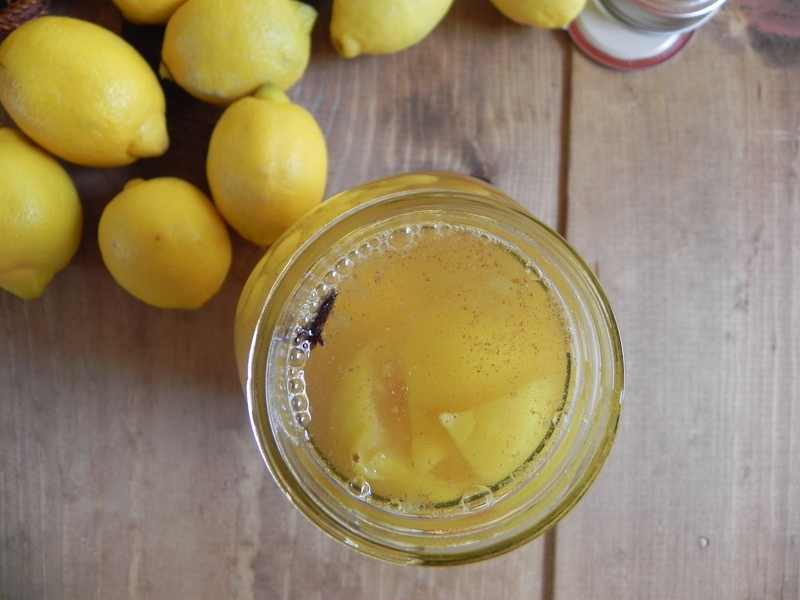 Place the lemons in the jar. Don’t smoosh them down, just put in as many as there is room for. Pour a bit of the water/spice mixture in the jar and wait 1 minute before pouring more liquid in up to about an inch to the top. Place the lid on and store in the refrigerator for at least a week before using. They last for several weeks. Enjoy! Please let me know if you find some great recipes that include this secret ingredient! 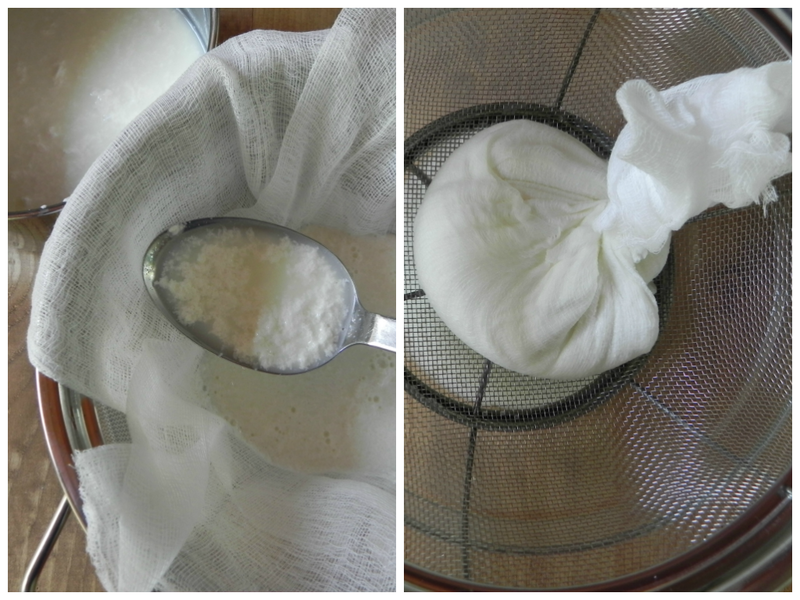 Homemade Ricotta Cheese and a Few Things to Do With It. 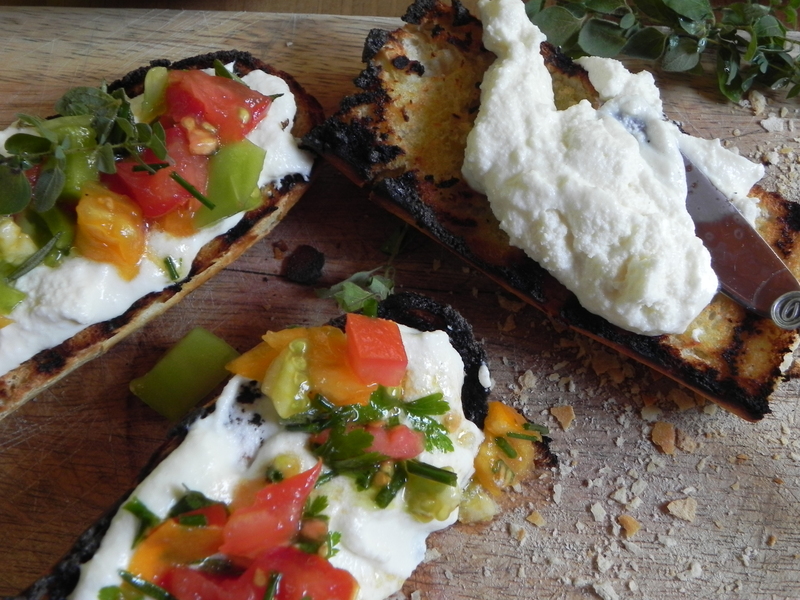 This past summer, I kept seeing gorgeous photos in foodie magazines of ricotta cheese slathered on grilled bread and garnished with herbs and olive oil. 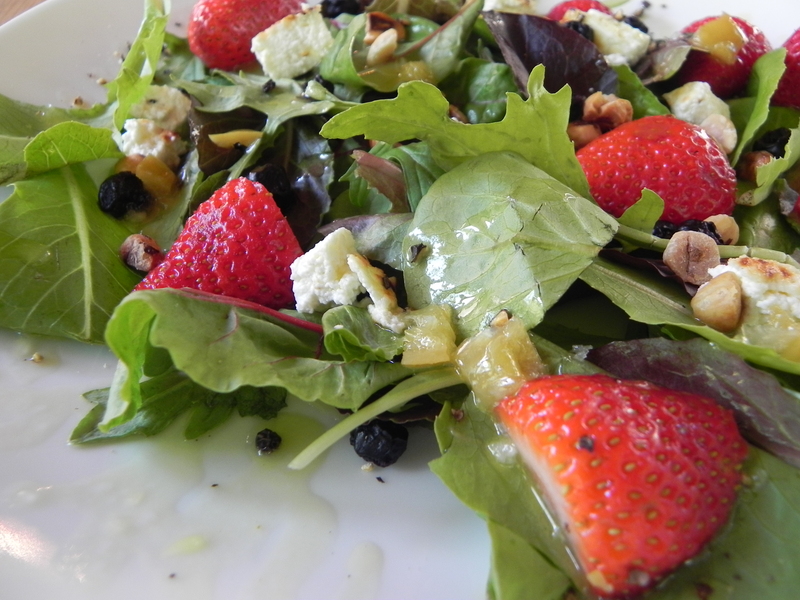 When I was served a winery salad that included baked ricotta, I became intrigued. 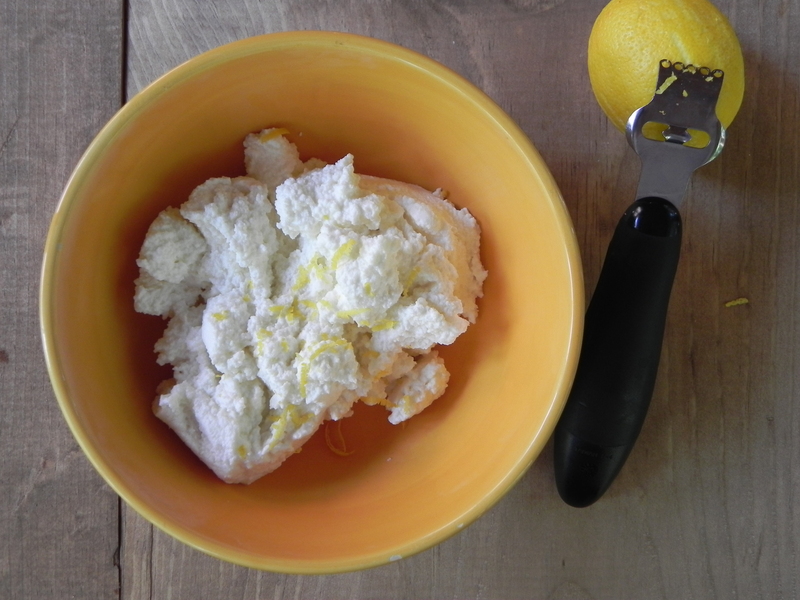 I’ve heard of homemade ricotta cheese, but I didn’t know how easy it was until I did a little research. A lot of recipes I stumbled on used lemon juice or vinegar, but a couple from The Lee Brothers’ Simple Fresh Southern cookbook and aboutfood.com just used buttermilk combined with whole milk. All that was needed was heating. The Lee Brothers added salt to theirs, but I prefer to add the seasonings later to have more control over the flavorings to correspond to how the ricotta cheese will be used. This versatile spread can be mixed with herbs and served with crackers or baked to be cubed and put in a salad as a nice change from the usual ubiquitous goat cheese. Grab a pan, cooking thermometer, colander, and enough cheese cloth to line the colander. 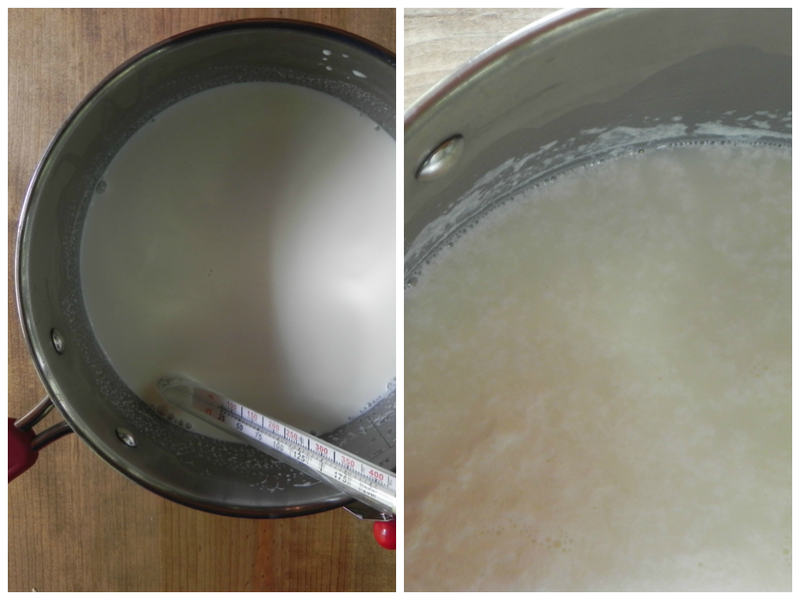 Pour the milk and buttermilk into the pan. Heat over medium heat until the temperature reaches 180 degrees F and you can see the liquid separating into clumps of solids. Take the pan off the heat and let it sit for about 5 minutes. 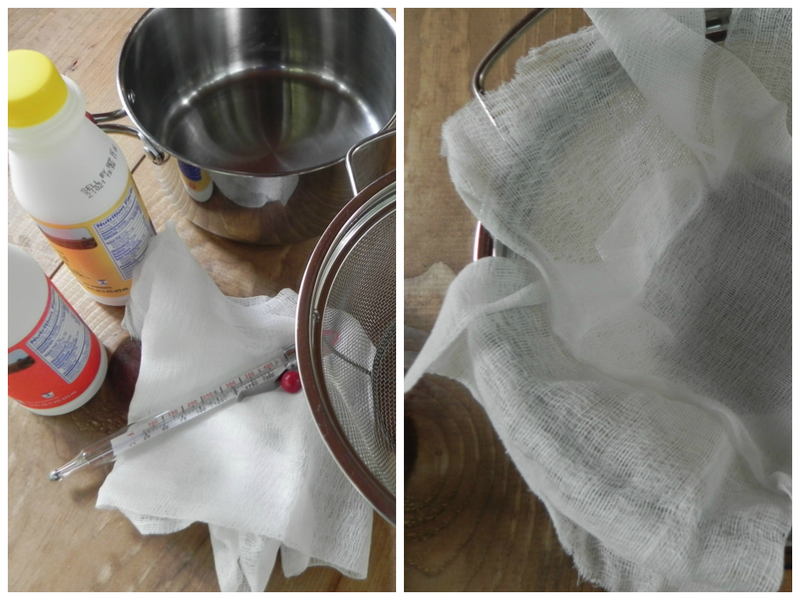 Place the cheesecloth lined colander over a bowl to catch the liquids and ladle the mixture into it. Give the liquids a chance to drain out, then gather up the edges of the cheese cloth and twist the ends together to squeeze a bit more of the liquid out. The bundle can sit this way for up to 30 minutes before it is either served or refrigerated for later use such as in a cheese cake or lasagna. The longer it sits the firmer it will be. It’s great blended with any herbs or lemon zest and served right away with crackers as part of a cheese board or platter.